Are you one of the millions that can't leave anything to chance when the 13th day of the month falls on a Friday? 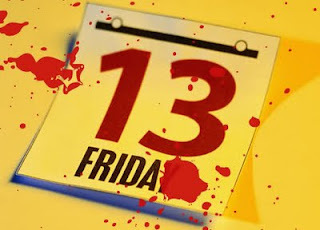 According to Wikipedia, nearly 21 million people in the U.S. are affected by a fear of this day, with over $900 million in lost business accrued due to fear of flying or making everyday decisions. The data doesn't really back up this fear, with statistics showing fewer incidents of traffic accidents, theft, and fire occurring... maybe people are just a little more cautious on the 13th? Or maybe it's all hogwash? There isn't much in the history books to draw a line between the phobia and the date, with most references only showing up after the beginning of the 19th century. By all accounts, its the combination of two unlucky numbers lining up: the 13th day of the month, and the 6th day of the week. Friday is regarded as unlucky dating back to a number of unlucky historic incidents, starting out with the Christian belief that Jesus was killed on a Friday. Black Friday, the stock market crash that marked the Great Depression, as well as a host of crashes, battles, and natural disasters are linked to this day of the week. As for the 13th day, the only science to this comes from numerologists (click here to discover whether or not you should study numerology!) They believe that the number 12 is a complete number, and therefore the number after it is not complete (not convincing, is it). Also, they refer to the fact that many historic occurrences involving 13 people have resulted in death, however the Last Super from Christian belief is the only one that really stands out. Hmm, sounds like someone planting the marketing seeds for a multi-million dollar movie franchise more than anything scientific to me? Playing on our fears has always been one of Hollywood's trump cards, and Friday 13th is no exception. With revenues topping $500 million worldwide, the Friday The 13th movie franchise has proven we like to believe (pretend?) there is a link between the date and ill fortunes. 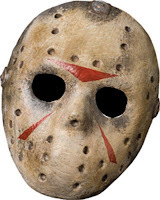 The movie plot goes something like this: Jason Voorhees dies at Camp Crystal Lake while is camp counsellors are off having a little fun in the bushes, if you know what I mean. His mother plots to murder them and keep the camp from reopening. 12 movies later and revenge is still on the books. What are the chances it'll wrap up at unlucky 13? Here you go, keep track of upcoming Fridays that fall on the 13th with this handy website. Every date up until 2037. It happens at least once every year, and can occur up to three times a year. 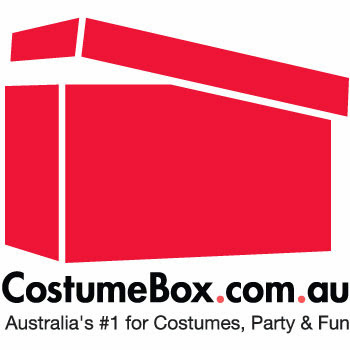 Read our blog post on Friday The 13th Costume & Decor Ideas here.